Writing’s been a long time coming according to author Ray Chilensky, but once he got going there was no turning back. A ‘penciler’ in his spare time, his career as storyteller began with a “penchant for improving” source material in childhood. Today, he creates layered characters in dystopian worlds with a message that finds a home in the time we live in. Welcome, Ray. We have more than a few things in common. Let’s begin with the drawing. Is it an inherited gift? What are your favorite subjects? You can be born with the talent to draw, but I really can’t point to any family member that I inherited any talent that I may have from. Even if you have natural talent, you have to work to develop it. I once aspired to be a comic book penciler so I spent a lot of time studying anatomy and basic things like perspective and foreshortening. F.I.R.E. Team Alpha began as a concept for a comic book series but the story outgrew that medium. My favorite subjects for artwork are usually characters that I created over the years. My favorite genre is fantasy art. I love drawing ornate armor, weapons and ancient ruins. You worked in law enforcement and private security. What aspects of this kind of work did you bring to your fiction? Did it inform your passion for storytelling, or was that always there? My time in law enforcement and security exposed me to the fantastic camaraderie the people who work in those fields share with one another. Many of the people that I worked with were military veterans as well, and I was impressed by the bonds of fidelity that people in those kinds of professions form. I try to convey that sense of respect and loyalty in the Team Alpha books. I’ve always been a story teller. If someone told me a story when I was kid, I tended to make ‘improvements’ when I retold it. That got me into more than a little trouble. I used to write stories based on the role playing game campaigns my buddies and I played and only showed those stories to them. I wanted to be an author my whole life, I think. It’s only been within the last few years that I’ve taken writing seriously. The F.I.R.E. Team Alpha series is jam packed with topical issues: global warfare, eugenics, profiteering. Is it humankind’s destiny to repeat the mistakes of the past? Does your series offer hope? Sadly, yes, mankind will continue to repeat his mistakes. We’re in the process of repeating them right now. There is a frightening lack of historical knowledge these days and that lack of knowledge lets the powers-that-be repeat their mistakes and use the same old bag of tricks to further cracked agendas. It really is the doom of man that he forgets. Although my subject matter is bleak, I do offer hope in the form of my characters. My protagonists don’t give into despair and they never, never give up. They say ‘Ok, the world is broken; let’s fix it’. They never say ‘the world is broken, let’s whine about it.’ My protagonists work together to make their world better. They have hope, so the reader has hope. Give us a sketch of Douglas Carter. Do you identify with him? I’ve psychoanalyzed Carter quite a bit over the years. What defines him more than anything else is that he cares deeply about humanity. That may seem odd if you read my books because he tends to leave a trail of corpses in his wake. But when he kills he does it with the conviction that he is fighting evil and freeing people, all people, from slavery. He takes tons of bad karma on himself so that other people can have better lives. I, myself, identify with Carter only in that I share his caring for every individual on the planet. Until everyone is politically and morally free, no one really is. Carter is in a better position to act on his convictions. 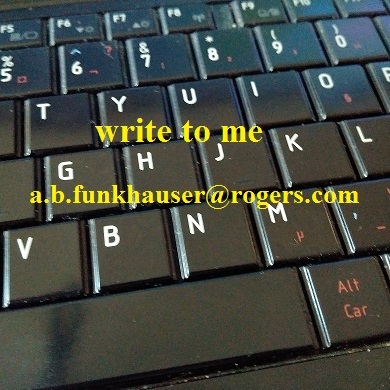 All I can do is write books and weave sociological and geopolitical elements into my stories and hope anyone who reads them is inspired to ask some questions. They don’t have to agree with me, but I hope that if they disagree they’ve done enough homework so that they can disagree logically. Ed-Ray literally gave me a sketch. Fantastic! Filmdom is dotted with awesome war scenarios: The Mouse that Roared, Dr. Strangelove and, more recently, In The Loop come to mind. What’s your ‘go to’ movie in this genre? ‘The Guns of Navarone’ and ‘Where Eagles Dare’ (both written by Alistair MacLean) are two of my favorite war movies and influenced the Team Alpha series. Black Hawk Down is also a favorite. The 1975 film ‘Rollerball’, although technically not a war movie, is also one of my top ten faves. It’s set in a corporate run world that has replaced war with very violent sport. Ed. I’ve seen all of these many times. They really stand out! Let’s talk about SEVENTH. Similar, but different, it has that fantastic ‘other-worldly’ component to it. Seventh has a different feel to it than the Team Alpha books. It’s the first of the Blessed Warrior series and revolves around the Selkirk family, which is one of seven Blessed Bloodlines; each of which is endowed with supernatural powers by one of the seven archangels so they can defend mankind against the demons that have stalked the Earth since before the flood of Noah. The main character is Cadell Selkirk, the seventh and youngest of the Selkirk brothers. Being a Seventh makes him very special an extra- powerful Blessed Warrior and puts a lot of pressure on him. What I like most about writing the Selkirks is the family aspect. There’s a tendency in a lot of fiction today that if you have a family featured prominently in a story it has to be dysfunctional. The Selkirks, despite having lost their father and a brother while fighting the demons, are a loving, supportive family. They have their issues, but they stick together no matter what. I’m the youngest of four brothers and I’m close to all my siblings. When I’m writing the Selkirk brothers, I can draw on those normal, but precious brother-to brother moments that siblings everywhere share. The normalcy of the way the brothers interact with one another, their mother and their grandfather is a great contrast to the distinctly abnormal activity of fighting demons. I think that the supernatural aspects of a story work better if their grounded in a reality that is relatable to everyday life. Have you ever experienced preternatural phenomena? If ‘no’ is there anything to it? When I was seven, I was with some friends when I saw a huge glowing triangle in the sky. At the time I was convinced as a seven year old could be that I’d seen an alien spaceship. When has this planet ever been war free? What the heck would we do if we suddenly went peaceful? Well, I think mankind knew a measure of peace before he became ‘civilized’. There might have been some fighting over land, food or mates, but the real carnage didn’t begin until man got organized. We’ve institutionalized religion, food production, education and most other things. We’ve really, really institutionalized warfare. Individual people can live together peacefully. Institutions can’t. I don’t know what would happen if peace were to suddenly be achieved. A case could be made that civilization would collapse because all civilization is based on force or the threat of force. Jared Diamond wrote an excellent book on this subject:’ Guns, Germs and Steel’, which was made into a PBS documentary. I’ve worn out two hardcopies of it. The other day you shared an observation where you had completed a scene that would ‘probably make some people mad.’ I gotta know: can you throw out a teaser line or two? …Cadell chuckled and shook his head. “No, we’re not religious in that sense. When a Blessed couple gets married they can have whatever kind of ceremony they want. It could be a big, traditional church wedding or they could go to Vegas and get married by an Elvis impersonator. For the Blessed it’s the commitment a man and a woman have to each other that matters, not a ceremony. Our ceremonies are for casting spells when the words spoken have real power. Evelyn’s Vulcan eyebrow arched. “That would be a pretty bitter pill for many Catholics, Mormons and most Southern Baptists to swallow,” she observed. I’m about two-thirds of the way done with Seventh and should have the rough draft ready to submit in mid- September. After that I’ll take a week or two off from writing and then start outlining and researching for the third Team Alpha book: ‘The Pandora Principle’. Just to thank you for having me on you blog. And thanks to your readers for taking the time to learn about my work. I hope they enjoy it. The Fast Intervention Raiding and Espionage teams; elite units of genetically enhanced special operators are the tier one striking forces of the United States and its Free Nationalist Forces allies. Drawn from the world’s finest special operation forces; the F.I.R.E. teams combine the best, most demanding military training in the world with more than human physical and mental capabilities granted by advanced genetic engineering. The F.I.R.E. teams are the most lethal warriors in human history. In 2108 the First Sovereignty War is in its final stage. The World Central Authority has disintegrated after the destruction of its European command centers at the hands of the six allied F.I.R.E. Teams. American led allied armies are marching across Western Europe; bringing sovereignty and self-determination back to formerly enslaved nations. While the Pan-Asian Homogeny watches the fighting and waits for the Allies and Europeans to slaughter each other, the Corporate Consortium profits by financing all sides. With the planet already devastated by fourteen years of global war, a cabal of scientists plans to enslave a remnant of mankind in a Utopian oligarchy after unleashing a plague that would kill most of the world’s population. Without official sanction, F.I.R.E Team Alpha is sent into the corporate exclusion zone in Frankfurt, Germany to stop the scientist’s plot. The team becomes entangled in a web of deceit, conflicting political agendas, and genocidal eugenics. Operating without outside support, and able to trust only in one another, the operators of F.I.R.E. Team Alpha must not only accomplish their mission, but also discover what forces in their own government are working against them. The Selkirk family is one of the seven Blessed bloodlines; true emissaries of God empowered by his seven Archangels. The Blessed have protected humanity from the Grigori and their demonic allies for over nine hundred years. Trained from birth to battle the Grigori, the Selkirk brothers fight forces that most people do not believe in yet still instinctive fear. The seventh son of a seventh son, Cadell Selkirk has power beyond that of his brothers and the other Blessed. That power has made the Grigori fear him and mark him for destruction. With the Grigori gathering their forces against them Cadell and his brothers are the only hope of stopping a plague of vengeful demons from being unleashed on an unbelieving and unprepared human race. Ray Chilensky lives in rural Tuscarwarus County, Ohio. He has worked briefly in law enforcement and for several years in private security. He has studied political science and history at Kent State University. Late in life he decided to pursue his passion for storytelling and combined that passion with a lifelong interest in history and politics to seriously peruse a writing career. In his free time Ray’s interests include the martial arts, shooting sports, drawing and, of course reading good books. TOMORROW: Author Raegyn Perry talks LAVENDER FIELDS and her WIP follow up CYPRUS GROVES.